When Stargate SG-1 premiered in 1997, it was a transitional phase for genre television. The episodic model was the norm and had been mastered by several Star Trek series during that decade. Even so, forward-thinking visionaries like Chris Carter (The X-Files) and J. Michael Straczynski (Babylon 5) were experimenting with a different model. Adapted from the 1994 Roland Emmerich feature Stargate, this series balances the old-school formula with a focus on continuity. Creators Jonathan Glassner and Brad Wright make limited tweaks yet stay rooted in the “mission of the week” structure. The foundation for this approach is the Cheyenne Mountain facility, the site for Stargate Command. Commonly known as the S.G.C, this high-security fictional location is set in Colorado Springs, Colorado. This base feels like it comes from another TV era, but it serves a key purpose in this show. The facility grounds the series in reality and connects it to this world in a different way than most sci-fi series. 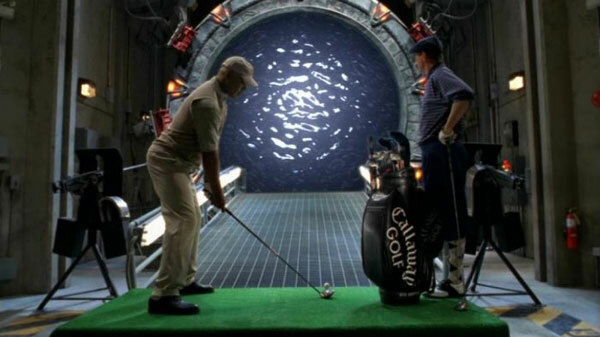 Stargate SG-1 is a rare series that received the endorsement of the U.S. Air Force. Several actual generals make guest appearances, and military advisors play a role in supporting the show. While this might feel like a crutch, it works because there’s a sense of authenticity in the inner workings at the SGC. The producers clearly understand the value of this backing, and star Richard Dean Anderson has made appearances at Air Force functions. The danger is that this focus on the military would turn off viewers who don’t identify with that institution. Thankfully, it doesn’t become an issue because it’s easy to form an emotional connection with the characters. The writers still have room to take down the tunnel vision of some military leaders, so there isn’t such a rigid adherence to painting a glowing portrayal of the Air Force. Anderson’s Jack O’Neill is a great guy, but he’s going to disobey orders when it’s the right thing to do. Close-minded officers like Lieutenant Colonel Samuels (Robert Wisden) in the first season are portrayed as cowards when the battles get real. They lack the heart and fortitude of the heroes that embody the military ethic like O’Neill. Given the static nature of the S.G.C, it could grind the pace to a halt. That happens a few times, but they typically mine great material from this spot. 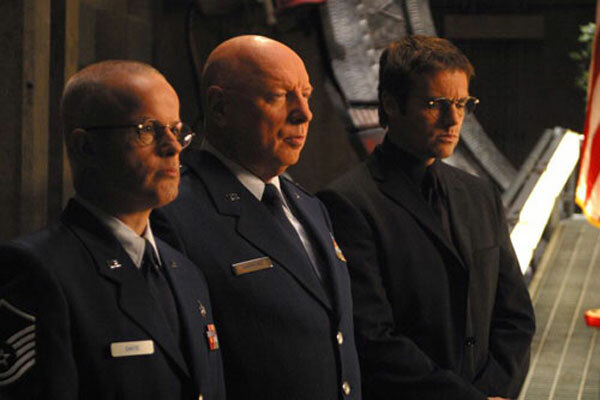 The main reason is the excellent work of Don S. Davis, who plays General Hammond. He faces the nearly impossible task of sitting in the control and meeting rooms and saying “you have a go” and other generic lines. Davis was actually a U.S. Army captain, and it’s clear that the experience makes him legitimate. His first major role was as Major Briggs in Twin Peaks, and he played Hammond regularly for seven seasons. The character works because he’s a stern military figure but recognizes the value of a wild card like O’Neill. It’s clear that Hammond cares for SG-1 and everyone at the facility like a father. They don’t leave men behind. When he gets the chance to step outside the base in season three’s “Into the Fire”, it’s refreshing to watch the old guy enter the fight. In “Chain Reaction” in season four, it’s heart-wrenching to see Hammond forced to resign temporarily due to threats to his family. When the action takes place at Cheyenne Mountain, Davis shines in the expanded part and shows his value. When Anderson cut his schedule and Davis stepped down, it made sense to place O’Neill in charge of the S.G.C. The eighth season includes some of the greatest highs (“Reckoning”, “Threads”) but seems awkward because it’s frequently missing its star. Watching Anderson struggle to make the stay-at-home commander work reminds us about Davis’ abilities. The writers sell it by mining humor from O’Neill’s lack of comfort away from the action. When Anderson left the show after that season, the producers faced a major bind. They replaced him with the capable Ben Browder as the team leader, but they still needed a base commander. Beau Bridges does solid work as General Landry and has an imposing screen presence, but no one can match Hammond. There’s too much history for anyone to step in and make us forget about the general. The final two seasons are so different and almost feel like a new series. Stars Amanda Tapping, Michael Shanks, and Christopher Judge are still involved, but they’re working in a different framework. The S.G.C still plays a major role, but the focus has shifted away from space exploration and into a battle with the Ori. Landry is a strong military commander, yet the sense of mystery is missing. Although Stargate SG-1 is about exploring other planets, there are plenty of episodes set in the S.G.C. A main reason is the limited budget, which doesn’t allow them to shoot outside in Vancouver every week. 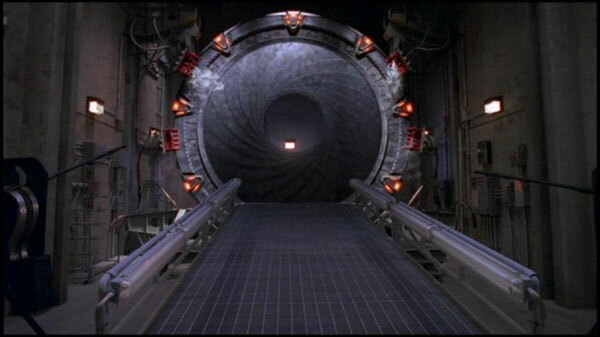 An early highlight in season two is “A Matter of Time”, an inventive episode with the Stargate connected to a black hole. The gravity field distorts time and threatens this world's fate. The time differences are handled well; Hammond returns after a few minutes and reveals the passing of a full day. It also shows the dangers of their missions when an entire team is lost in the black hole. The following season’s “Foothold” has a clever group of aliens doubling the humans and taking over the base. This is a strong example of an Earth-based story that doesn’t feel obviously designed to save money. In fact, some of the strongest episodes primarily happen on this planet. “Window of Opportunity” is one of the show’s most enjoyable yarns. It makes O’Neill and Teal’c (Judge) repeat the same day in Groundhog Day fashion, which leads to serious mayhem. On a different note, the two-part “Heroes” in season seven depicts a film crew shooting a documentary about the Stargate program. Saul Rubinek (Warehouse 13) is sharp as Emmett Bregman, a director who arrives in time for a tragic loss. It’s one of the show’s most emotional stories, and it spends a majority of the time with characters just talking with Bregman and his crew. The Stargate universe was expanded with two follow-up series, Stargate Atlantis (SGA) and Stargate Universe (SGU). The former actually begins on Earth in “Rising” and sends a team through the Antarctica Stargate to the lost city. Since its first three seasons were shot concurrently with SG-1, SGA periodically used the S.G.C. in small segments. When the Atlantis team regained a connection with Earth after the first season, characters crossed between the shows. There is a slightly different tone to the second series, but it retains the ‘90s feeling of a team going on weekly adventures. It’s set in a different universe and has better effects, yet the adventurous feeling remains. The atmosphere is much different for SGU, which employs a modern feel reminiscent of Battlestar Galactica. The S.G.C. would feel more out of place in this setting, though characters like O’Neill still make a few appearances. Although there’s more emotional turmoil and less heroic characters, SGU still maintains touches of the original magic with a modern twist. The S.G.C.’s rooms are spare in accordance with the military approach, but they have life because so much happens within those walls. The Gate Room, Control Room, Briefing Room, and others become characters since they’re so familiar. Daniel Jackson dies (sort of) in the Infirmary in “Meridian”, and that’s just one example of many key moments that happen there. The characters spend most of their lives within these walls, and it’s more of a home than their bleak residences outside the base. They seem lost in the real world and don’t usually enjoy vacations. When you’re exploring other planets, who would want to go home? That excitement carries over to the audience, who feels like they’re going through the Stargate with the characters. There’s danger in other worlds from powerful enemies, but it sure beats a mundane office job. 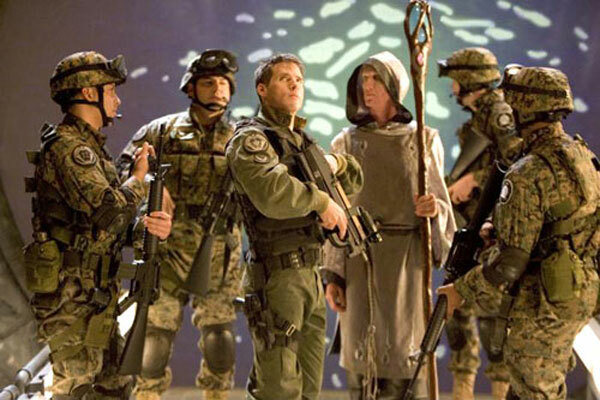 Stargate SG-1 might seem out of date compared to today’s complex shows, but those limitations become its strengths. These heroes are exploring the universe and protecting this world from harm. It isn’t too much of a stretch to think that a place like the S.G.C. exists, and that’s a key factor in the show’s long-running success. Was a massive fan of SG-1. HUGE. Loved the show so very much. The entire universe. I wasn't a fan of the final two seasons. Not just because of the new characters, but it lost what made it good to me - that original team dynamic. Enjoyed Atlantis to some degree. Had some great episodes, a lot of potential, but was squandered. SGU finally found it's footing then got ruthlessly cancelled. It had some very intriguing characters and a depth and it was different enough from its sister shows to be able to stand on its own without cameos. Jaina, I'm right with you on being disappointed in the last two seasons. It had some good moments but felt more disjointed without the original team. The new characters were okay, but characters like Sam Carter and Teal'c sometimes felt less essential. You could really tell what was missing when RDA came back and guest-starred. SGU was frustrating because it took a while to get rolling. It had a great start then was up and down for a while, but the second season really took off. I loved what Robert Carlyle did with Rush, and who doesn't like Eli? I think a third season could have been one of those truly great TV seasons if they did it right. I found that it also worked a lot better on DVD because the story wasn't as episodic.